If you're familiar with the world of drifting, then hearing that the 2011 Mustang RTR package was a vision of Vaughn Gittin Jr. will probably paint a mental picture of what it was designed to do. 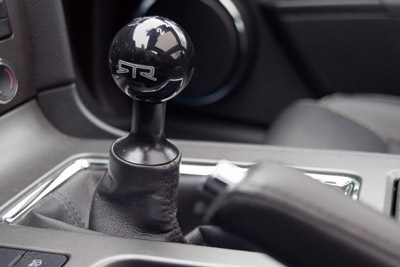 Also known as the very talented driver of the Monster Energy-Falken Tire 2011 Mustang GT in the Formula Drift Series Races, Vaughn Gittin Jr. felt that a new take on the styling and tuning of the iconic pony car was called. 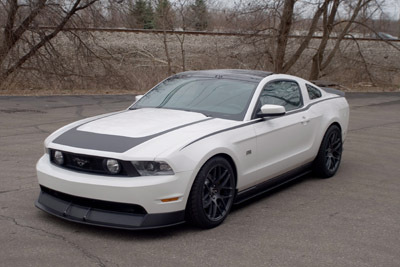 He teamed up with Michigan's Classic Design Concepts to put together the 2011 Mustang RTR package to be available as a dealer installed package. 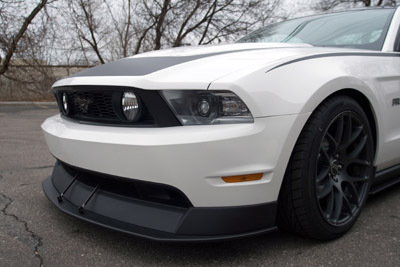 Using a combination of Ford Racing performance parts, aftermarket speed parts and Falken high performance tires, this 2011 Ford Mustang looks good and sticks to the road like glue. With it's unique RTR 19x9.5 wheels and Falken FK series tires, upgraded rear sway bar, performance tuned dampers, springs and suspension tuning, this thing handles. 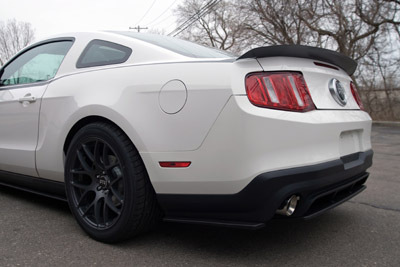 It sounds good too, with it's Ford Racing mufflers. And for a little added thump to the already over 400 horsepower 5.0 liter V8, there's a Ford Racing Tune and K&N filter to bump up the power to a nifty little 421 horsepower. The exterior gets some revamping too, including a chin spoiler with race style supports and splitter, rocker splitters, a rear duffuser and aluminum spoiler at the rear. If you miss that, you'll be hard pressed not to notice the striping and emblems along with it's distinctive wheels. 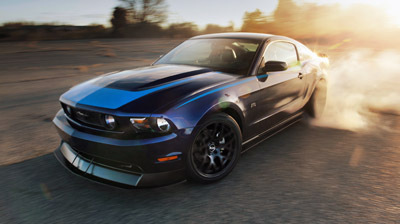 If you think this just might be your Mustang, see your dealer for details on how to get one that fits you.